Finding a economical house in a central area with urban facilities and excellent services in Singapore can be quite challenging. In most cases, expats have a problem deciding the ideal location. According to a report made by the Economic Intelligence Unit in March 2018, Singapore holds the title of the most expensive city for expatriates. Given the high percentage of homeowners and the scintillating geographical features found in this small State, the cost of living in Singapore may not be pocket friendly—especially for an economic-conscious expat. Since the city-state is small, land for development is decreased hence affecting accommodation. 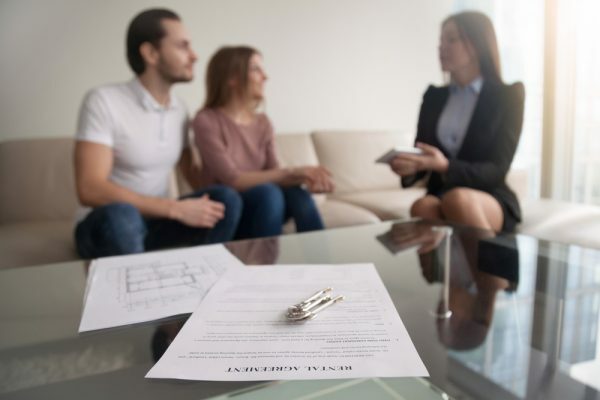 However, these five basic concepts will help you know how to go about renting the perfect home. If you’re an expat, make sure LOI includes a Diplomatic Clause which lets you to end the lease after 12 months provided you give a two months notice period prior. It can substantially help if you want to relocate urgently. Essentially, in Singapore the standard leases last between 12 and 24 months and the minimum lease duration is six months—anything less is regarded as illegal. Practice due thoroughness. Check to confirm if indeed the landlord is the actual owner of the property before transferring the deposit. There exist some clauses regarding the deduction of your deposit to settle the damages caused throughout your tenancy. For security purposes, its best recommended to make derivative transactions while transferring the money to the owner or landlord rather than through proxies like the agents. Note that how you pay your agent solely depends on your agreement. Your landlord has to pay both agents if your rental goes beyond $2500 per month—by convention. According to Grey loft—Singapore Property Market Guide, it’s advisable to use an agent to help with the LOI if it’s your first time living in Singapore. An agent can help you find a good deal while still saving on money and time. In Singapore where people keep coming and leaving, your Tenancy Agreement may need to include a diplomatic clause. This clause is to safeguard you in the event that you’re transferred, no longer employed or any other condition which may require you to terminate the lease before 12 months are over by giving a two months’ notice. Your deposit will then be compensated. According to Expat Focus, your agent should help you meet the landlord in person and look up for the property details on the Singapore Land Authority Register. Some landlords do not include a diplomatic clause in their tenancy agreement unless the lease is more than one year. That’s why it is crucial for an expatriate to have an agent who will look upon such details. Landlord generally pays the agent the entire commission as soon as the tenancy agreement start, therefore expatriates in case of termination or violation of the agreement will need to bear the agent’s commission and pay back the amount to landlord. The amount is negotiated depending on the number of months remaining before the lease ends. In Singapore, you will be obliged to pay for security deposit based on the furnishing (although negotiable). The more stuff the landlord has in that house, the more likely you’re to lose your deposit. It is upon you to determine the type of house you want to live in. Fully furnished: A fully furnished home means the apartment or the house comes with all furniture, appliances like a washer, fridge, and dryer and all the essential electronics like the tv. Partially furnished: A somewhat fitted home means that the house only has lightings, curtains, and a few other loose items. Completely unfurnished. Non-furnished houses do not have any furnishing and mostly have the necessary essential equipment like built-in wardrobes and permanently fixed air conditioners. In most cases, the tears, and dents here and there in a fully furnished home makes it difficult to get away with your security deposit. Additionally, a fully equipped apartment will command more fees than a partially furnished or unfurnished house, therefore, depending on your budget consider occupying an unfurnished unit if you aren’t ready to part with your deposit. The security deposit is virtually given back to you within seven days at the end of your lease.